As we have discussed many times, Smart Power Grids is one of the four essential research themes at the LIINES. Our work generally advocates the concept of power grid enterprise control and a number of blogposts have been devoted to the topic. One novel aspect of this work is the use of microgrids which may coordinate their own renewable energy but also have the potential to island themselves from the rest of the grid. Microgrids — as the name suggests — are relatively small and so their reliable operation requires careful attention to its design & planning. In a sense, each generation, load, line and bus must be carefully considered. To that effect, we thought we’d share Siemens’ take on the subject. Their recent IEEE PES Webinar on Microgrid Strategic Planning has recently been put up on youtube. The LIINES is happy to announce that Applied Energy Journal has accepted our recent paper entitled: Real-Time Economic Dispatch for the Supply Side of the Energy-Water Nexus. The paper is authored by Apoorva Santhosh, Prof. Amro M. Farid and Prof. Kamal Youcef-Toumi. This paper is the first of its kind to present an optimization program that would economically dispatch power plants, cogeneration plants, and water plants. In such a way, significant costs and resources can be saved in the production of both power and water. The paper concludes with an illustrative example of how the optimization program could be implemented practically. On December 6th 2013, William Lubega and Prof. Amro M. Farid attended the Complex Systems Design & Management Conference in Paris, France. William Lubega presented the jointly written paper entitled: “An engineering systems model for the quantitative analysis of the energy-water nexus”. This work builds upon the Reference Architecture for the Energy-Water Nexus recently published in the IEEE Systems Journal. In our last blogpost, and as shown in the figure below, we described that this work provided a graphical representation of the energy-water nexus to qualitatively identify the couplings of energy and water. The CSD&M paper was the first step in the quantification of this qualitative model using the bond graph modeling methodology. As such, it could begin to answer questions about the energy intensity of the water supply chain and the water intensity of the energy supply chain in a rigorous and systematic framework. The aim of the CSD&M 2013 conference is to cover as completely as possible the field of complex systems sciences & practices. It equally welcomes scientific and industrial contributions. 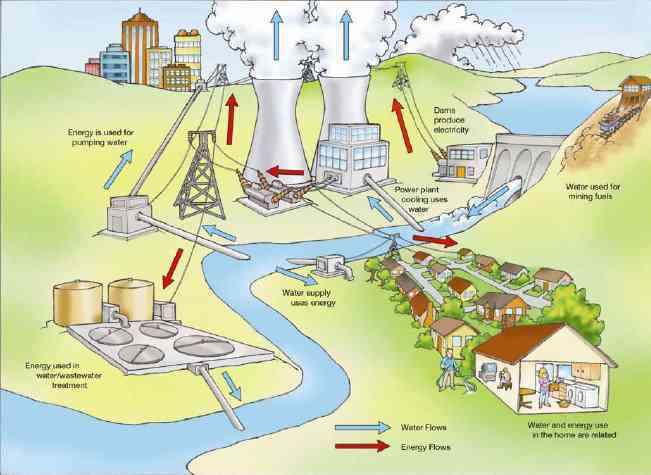 Figure out the inputs and outputs for each one focusing especially on flows of energy and water. In the Fall of 2010, Prof. Kamal Youcef-Toumi and Prof. Amro M. Farid teamed up to collaborate on smart power grids. For Prof. Youcef-Toumi, as director of the Mechatronics Research Laboratory and co-director for the MIT-KFUPM Center for Clean Water and Energy, this was a natural extension of his existing research. For Prof. Farid, this was a natural shift of application domain from the control, automation and systems engineering of manufacturing system to energy systems. Many of the recent research outputs featured within the LIINES smart power grid research theme are the rich fruits from this successful collaboration. Today, on February 5th, both professors were invited to feature their collaboration at the 9th Annual Carnegie Mellon Conference on the Electricity Industry: The Role of Distributed Coordination in Resilient & Fine-Grain Control of Power Grids. The first presentation entitled “A Multi-Agent System Transient Stability Platform for Resilient Self-Healing Operation of Multiple Microgrids” was delivered by Prof. Youcef-Toumi. This work combines multi-agent system techniques from the field of distributed artificial intelligence with transient stability analysis from power systems engineering. It recognizes that power grids are operated by multiple independent stakeholders be they independent power producers, semi-autonomous microgrids, full-scale utilities or whole countries. Each has jurisdiction and control over its respective area even though the physical grids are electrically connected. Hence, the multiple stakeholders must coordinate and collaborate with distributed control techniques in order to assure technical reliability. The interested reader is referred to the publications led by Dr. Sergio Rivera on the LIINES website for further information. The second presentation entitled “An Enterprise Control Approach for the Assessment of Variable Energy Resource Induced Power System Imbalances” was delivered by Prof. Farid. 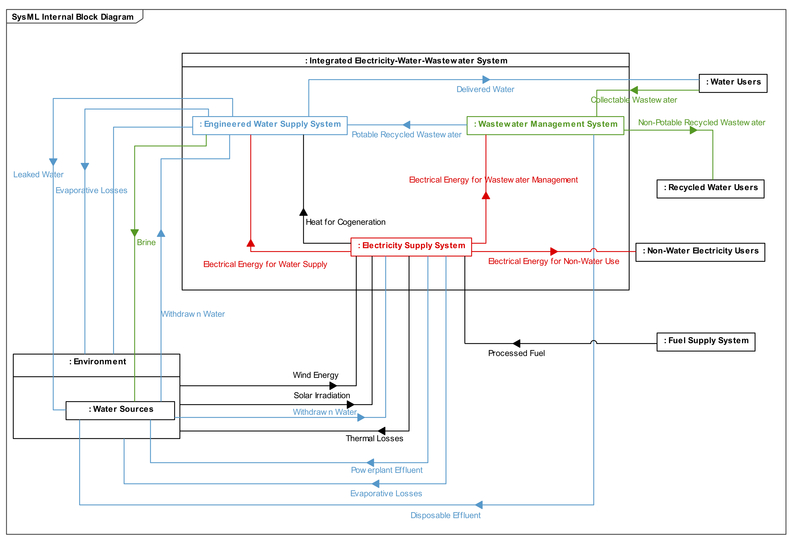 This presentation reiterates the need for enterprise control techniques when assessing and mitigating the power system imbalances induced by the integration of variable energy resources like wind and solar PV. It showed that when the power system’s primary, secondary and tertiary control are considered simultaneously, accurate and insightful conclusions can be made about the techno-economic viability of VER integration. These conclusions overcome many of the limitations of existing methodologies found in recent renewable energy integration studies. The interested reader is referred to the publications lead by Dr. Aramazd Muzhikyan on the LIINES website for further information. In recent months, we at the Laboratory for Intelligent Integrated Networks of Engineering Systems have been arguing for “Enterprise Control” in support of the future developments of the electricity grid. This work has provoked interest in a number of different research communities. To that end, Prof. Amro M. Farid was invited on January 31st to give a lecture entitled “Intelligent Enterprise Control of Future Electric Power Systems” at the MIT Mechanical Engineering department. While power grid’s are often seen as the domain of electrical engineers, mechanical engineers have developed a strong interest in smart grids due to the heavy role of power generation and building management. Furthermore, the concept of enterprise control which originates from the ISA-s95 standard within the manufacturing domain is particularly familiar to mechanical engineers. This presentation argues the need for holistic assessment methods and then highlights our recent work on the development of enterprise control strategies. It draws from multiple LIINES publications lead by Dr. Aramazd Muzhikyan and Dr. Sergio Rivera. One major disciplinary expertise at the Laboratory for the Intelligent Integrated Networks for Engineering Systems is operations management and research. Naturally, using optimization techniques in the form of mathematical programming is an essential aspect of this competence. One really useful software package to allow the straightforward numerical optimization is the General Algebraic Modeling System (GAMS) and it has been used extensively in the smart power grid application domain. Many researchers in the field also link Matlab to GAMS using the former for data processing and results visualization and the latter as a solver. The implementations at the LIINES, however, have some challenging implementation demands. For example, model predictive control problems require the solution of a numerical optimization at every discrete time step simulation evolution. When Matlab calls GAMS — on the Windows platform — it spawns a new graphical user interface integrated development environment (GUI-IDE) window (and all associated dynamic link libraries). This slows down simulation tremendously. Even worse, the Windows OS may not be able to reliably handle these repeated calls leading to a crash of the simulation. Trust us, when you are many hours into a fully automatic simulation, that’s hardly what you are looking for. Fortunately, the GAMS version of Linux and Mac OS X does not have a GUI-IDE and runs purely from the command line. We have found this to be not just faster for simulation but also much more stable when tied to MATLAB. We highly suggest this approach. Now some will say, that they need the GAMS GUI-IDE for development. We agree that this can be useful! Fortunately, you can have the best of both worlds. Use the command line native Linux/Mac OS X version for reliable simulation. In the meantime, a Windows version installed over WINE can be used purely for development. The GAMS support page provides very clear installation instructions here.